The Basis Daybed debe.destyle by de Breuyn is a timeless single bed for all ages. Thanks to comprehensive accessories, such as the frame which can also serve as a front safety board, drawers for additional storage space under the bed or a pull-out guest bed, the Basis Daybed can be adjusted for individual needs. So the right bed solution for small children through to teenagers and even for adults is always to hand. The young persons' daybed is available with a three-sided frame or as a flat bed with short corner posts. A safety board can be installed in front for small children. The integrated tray table is a super bedside table replacement and provides space for a lamp, books or glasses. The two bed drawers create storage space, as an alternative, the guest bed offers an additional place to sleep. The best feature: you and your child don't need to make a commitment. Each variation can be implemented, customised and extended any time as you want. The Basis Daybed debe.destyle by de Breuyn is produced in natural oiled beech wood or in coloured stained wood with a visible wood structure in white. 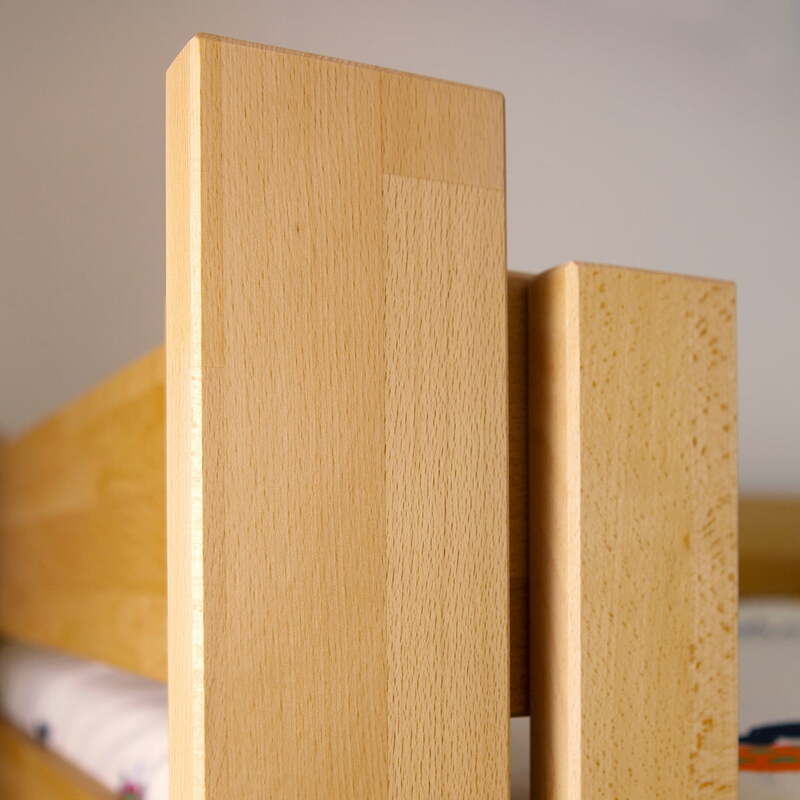 If you have any questions about variations or the range of accessories, such as drawers or guest bed extension, feel free to contact us. 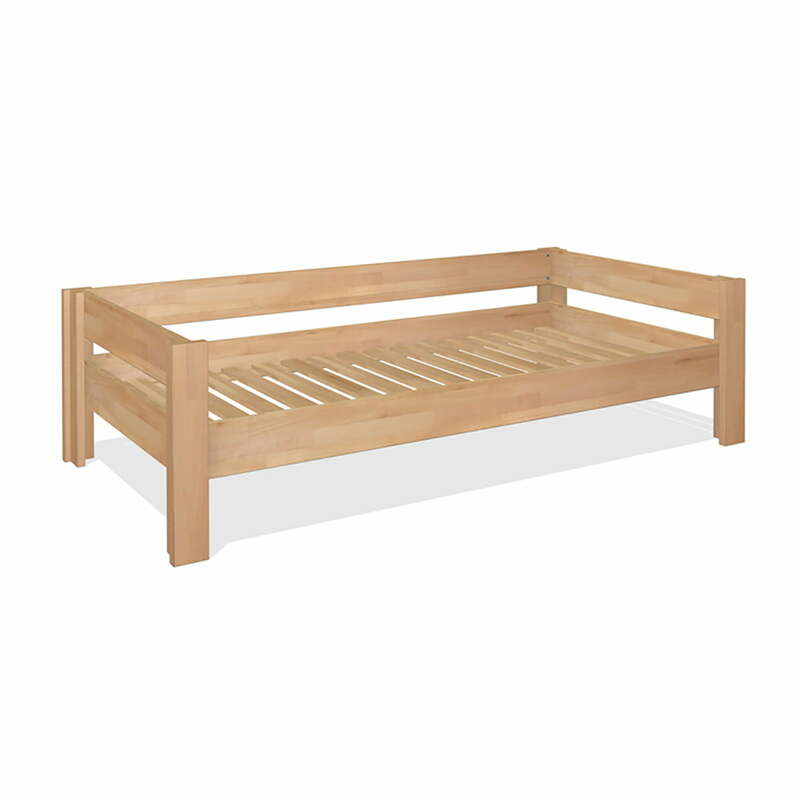 Individual product image of the Basis Daybed with frame by de Breuyn, natural. The young persons’ daybed is available with a three-sided frame or as a flat bed with short corner posts. The Basis Daybed debe.destyle by de Breuyn is a timeless single bed for all ages, with a frame or also a front safety bar. So the right bed solution for small children through to teenagers is always to hand. The two bed drawers create storage space, as an alternative, the guest bed offers an additional place to sleep. The best feature: you and your child don’t need to make a commitment. Each variation can be implemented, customised and extended any time as you want. The young persons’ daybed is available with a three-sided frame or as a flat bed with short corner posts. A safety board can be installed in front for small children.